Born in Toronto, Ontario, Canadian. Scott has competed and won titles in Formula Vee (1984), Formula Ford 1600 (1985 and 1986), Canadian National Showroom Stock (1992 and 1993) and Grand-Am (2002 and 2008). He also contested the Canadian GM Challenge, Porsche Cup and Pro Formula Ford 2000 series from 1986 through 1990. He made a single Indy Lights start in 1992. One of the highlights of Maxwell's career came in 2000 at the 24 Hours of Le Mans when he won the LMP 675 class for Multimatic Motorsports aboard a Nissan-powered Lola with fellow Canadians John Graham and Greg Wilkins. In 2003, Scott Maxwell along with David Empringham and David Brabham won the first ever Daytona Prototype race at the Rolex 24 Hours of Daytona. However, The Racer's Group GT-class Porsche 911 won overall honors in that race. He also contested the American Le Mans Series with Panoz in 2003 and Krohn-Barbour Racing in 2004 as well as contesting several Rolex Sports Car Series events for Multimatic Daytona Prototype customers. 2003 was to also see Maxwell make his NASCAR Winston Cup Series debut, but he failed to qualify the #43 car for Petty Enterprises at Watkins Glen International. 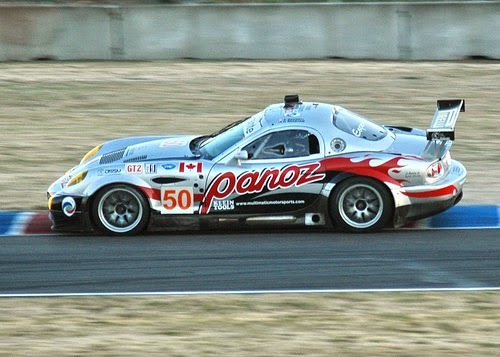 The Canadian co-drove with Grand Am Cup Champion David Empringham in 2005 aboard a Multimatic Motorsports entered factory Ford Mustang FR500C. 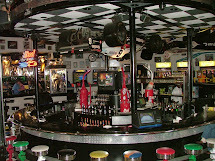 Maxwell missed out on sharing the title because he skipped one race to compete at Le Mans for Panoz Motor Sports. In 2006, Maxwell clinched another milestone victory for Multimatic Motorsports when he teamed with David Brabham and Sébastien Bourdais to win the GT2 class at the 2006 12 Hours of Sebring. In 2008 he won the Grand American Road Racing KONI Sports Car Challenge driver's championship with partner Joe Foster aboard the Hypersports Mustang FR500C run in cooperation with Multimatic Motorsports. For the 2015 season, Maxwell is co-driving with Billy Johnson in the #15 Multimatic Motorsports Ford Mustang. Scott was inducted into the Canadian Motorsport Hall of Fame in 2014. 1984 Formula Vee - Scott preparing to climb into the Silver #88 Lynx, myself in the yellow #137 Horst Kroll built Altona.